More and more travelers are serious about photography on their trips. While many travelers use their cell phones and tablets to record their travel memories, I’ve noticed more and more travelers capturing those memories with high quality camera gear. Travelers today often wish to capture night photos and other long exposure photos which make traveling with a tripod almost essential for them. As a result, tripods, large and small, are making their way into either checked or carry-on luggage, which are inspected by TSA (Transportation Security Administration) and other countries’ security officials prior to boarding. Unfortunately, there is no absolute answer to that question. At the same time, the world’s security agencies, including TSA, tell us they give flexibility to their agents to interpret and enforce their rules and regulations, so even while tripods aren’t on prohibited lists, it’s impossible to say tripods definitely will be permitted in carry-on luggage. I have interviewed countless TSA TSO’s (Transportation Security Officers). They, like other airport security agencies’ agents around the globe, are looking for weapons, explosives, and other prohibited items to prevent them from getting on board airplanes to keep passengers safe. Some security agents think tripods can be used as a weapon, much like “prohibited” baseball bats. Frankly, if I have checked luggage, my tripod is in it. Then I don’t have to worry about a TSA agent rejecting my tripod from my carry-on. Yes, if my checked luggage is lost, so is my tripod. I mostly fly direct, non-stop flights, which minimizes the odds my checked luggage will be lost. The tripod could be stolen from my checked bag too, but TSA has stated in the past that only 3 per 100,000 passengers file loss claims. Even if losses are somewhat under reported, the odds are your tripod will be in your bag when you retrieve it at baggage claim. As mentioned above, TSA TSOs, like security agents in other countries’ airports, have enormous flexibility in deciding what’s allowed and what’s not in carry-on luggage. Last summer I saw a couple instances of tripods (sans spiked feet) in the outside pocket of photo equipment backpacks, just peeking out, refused by TSA. 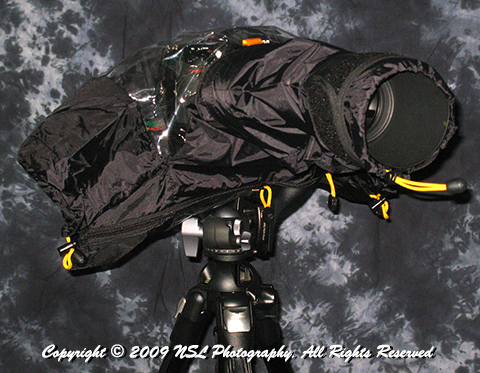 I also saw a few tripods neatly strapped to the outside of camera bags (sans spiked feet) refused by TSA last spring. Reports from readers indicate they’ve seen the same TSA tripod refusals. In the last 18 months I have not seen TSA refuse to permit a tripod which was packed totally inside a carry-on bag (sans spiked feet), but I have seen them refused, packed that way, in years past. In my opinion, it’s not possible to be absolutely certain what a TSA TSO will decide about permitting tripods in carry-on bags in the future. Of this, I’m certain. If a traveler tries to carry a tripod in or on the outside of a carry-on, with spiked feet attached, the likelihood is extremely high, if not 100 percent, it will be refused to be permitted past the TSA airport checkpoint. Beyond that, nothing about traveling with a tripod is certain. My experience with TSA personally, and after speaking with TSA, is if your tripod is wholly inside a bag, it will most likely be permitted, but that’s not absolutely, positively. I can also say that if a tripod is hand carried or tied to the outside of a carry-on, it’s at least even odds it will be refused by TSA. More than a few TSA agents consider tripods, brought into an airplane cabin, a potential weapon. Even if a tripod gets through airport security, while on the outside of a carry-on bag or handheld, there is a strong possibility the gate agent will refuse to allow it past the gate. For example, I’ve seen gate agents inform passengers their tripod on their carry-on violated the size limitation of the carry-on, which is linear (L+W+D), when it’s top and/or bottom extended past the carry-on itself. While gate agents who refuse tripods generally permit them to be gate checked, sometimes they say it must be checked in with checked luggage, back at the ticket counter. Either way, a separately checked tripod may not physically survive the flight. Here’s my suggestion. If you’re taking a tripod on your trip, and are using checked luggage, put it in the checked luggage. If you’re traveling with only carry-on bags, pack your tripod totally in your carry-on bag, and if you use spiked feet, remove them before you get to the airport. Pack them separately. Ned Levi is a long time professional photographer with a passion for wildlife and travel photography. You can view some of Ned’s travel and other photos at NSL Photography or get more travel photography advice at the NSL Photography Blog.